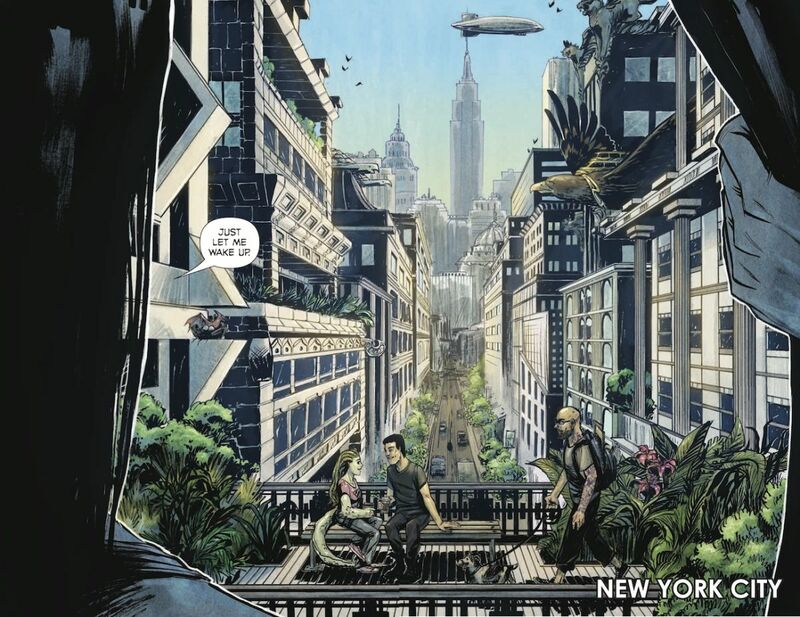 With a range of genres and styles, Image Introduces is the place to find a comic for everyone. Each Friday in January, we'll talk to the creators of one of the Image Introduces titles. 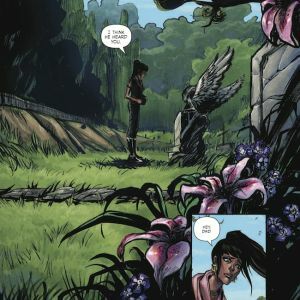 SHUTTER, VOLUME 1: WANDERLOST introduces Kate Kristopher, a former child adventurer and bestselling author who just wants to live a normal life now. But the world won't let her! 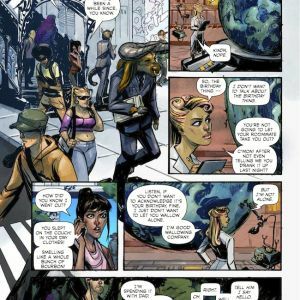 We talked to the series creators Joe Keatinge and Leila del Duca. Let's start with the basics: Your protagonist, Kate Kristopher, is a former child adventurer and book author. What else can you tell us about her? 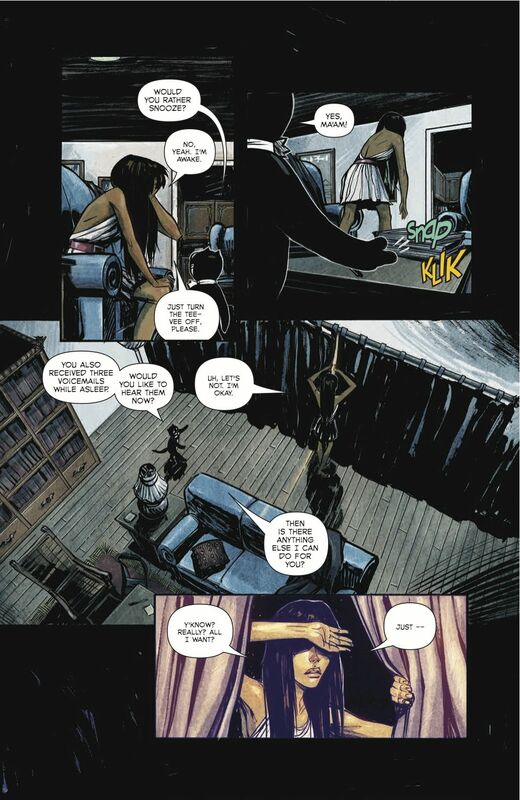 JOE KEATINGE: Kate’s in an odd spot when we kick off. At a very young age she saw her fantastic world a few times over and risked her life to record every nook and cranny despite whatever awful things they hid. However, it was built on a myth her father sold her. Ten years after he passed she found out the myth was just that — a story, a lie — and is forced to re-confront a world she thought she knew, but truly doesn’t understand. So, you know, tough spot. Somewhat relatable, despite the fact she’s dealing with jerky Victorian robots, magic rats, lions gangsters in fashionable pinstriped suits and more family drama than a thousand Thanksgiving dinners. 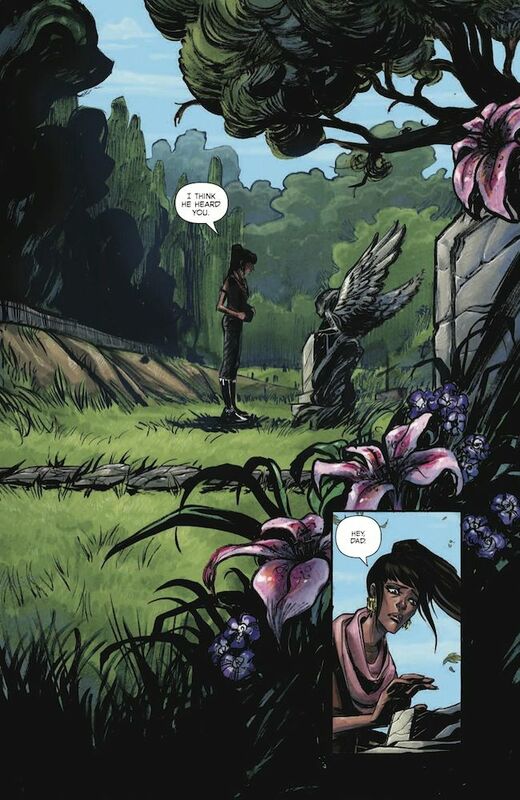 Shutter takes place in an amazingly diverse fantasy world. What went into creating the character designs and other visuals? 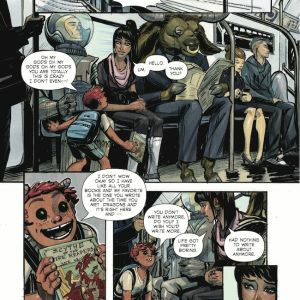 LEILA DEL DUCA: From the beginning, Joe and I both wanted Shutter to be everything we loved about comics and more, while also being an homage to stuff we love in real-life. For myself, there was a ton of visual stuff that had been floating around in my head for years, design inspirations that I was just dying to put on page but never had an opportunity.Shutter was the perfect place to draw dinosaurs, animal-human-plant hybrids, architecture inspired by Latin American cultures, flying things, crazy over-the-top scenes, etc, etc. Joe kept throwing in amazing characters and let me go wild with their designs. "Draw a jackal with some punk samurai armor riding a triceratops," he said, and I gave Eckland a mohawk, a huge sword, tons of spikes on her costume, and got to draw a long-anticipated radical dinosaur. Then Owen Gieni, our colorist, gave her some dyed green and purple hair and some mean-looking colors on the rest of the whole image. 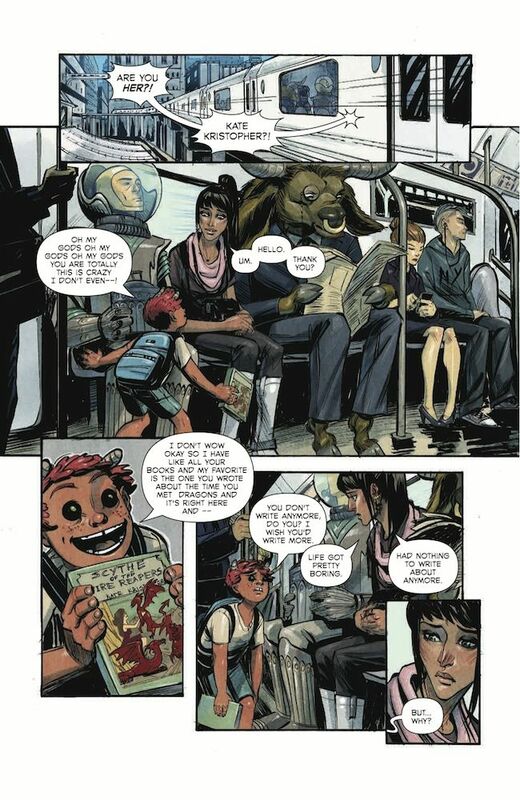 Owen makes the characters even more vibrant and multi-dimensional with his color choices and rendering than I could ever achieve without him. What is your collaborative process? How is working on Shutter different from other work you have done? LD: Our process begins with Joe's ideas and script, then he sends it over to me and I draw layouts. After showing him the layouts, I draw the pages from pencils to inks and show him the final page. Thankfully, Joe doesn't make me show him my pencils so it saves me time and angst and I can just dive right into inking. 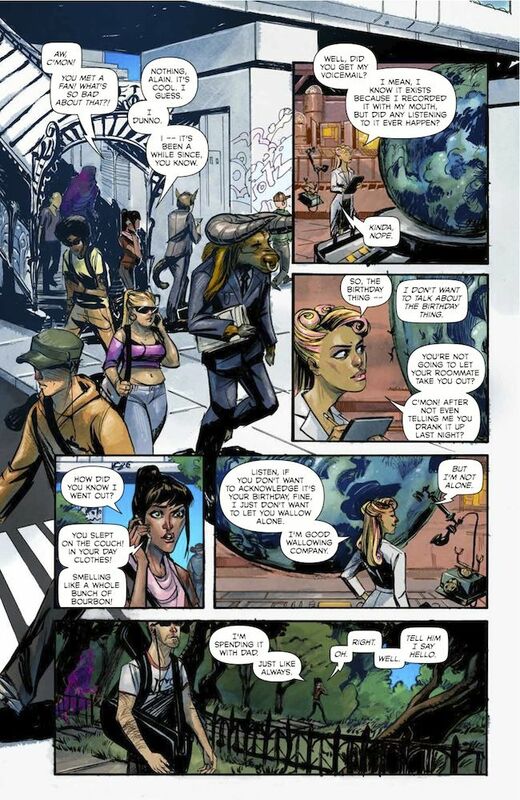 Then we send those pages over to Owen Gieni to color, and John Workman to letter. How does Shutter differ from other work I've done? I've never had so much fun working on a book before! Joe knows that I love diverse imagery and crazy characters and he puts all of that and more in each script. I've never had such cool visuals to draw and it constantly keeps me interested and motivated. When I have issues with the script, my input is always appreciated. Joe and I keep striving hard to impress each other creatively, so I'm always on my toes in a good way. I genuinely feel like a co-creator and valued member of the team. 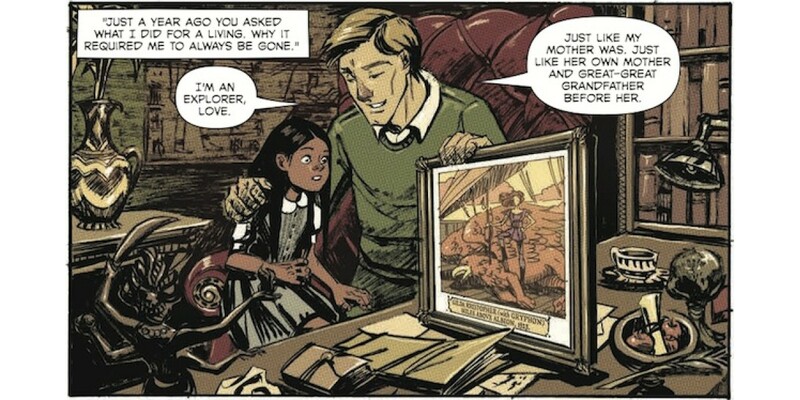 Working on Shutter is so incredibly different that I have this fear that when it's all over and done with I'll never find another book that suits my needs and interests as well. 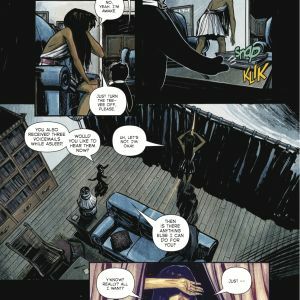 As Shutter moves from single issues to a collected trade paperback, it has the potential to find new readers in bookstores and libraries -- what kind of reader do you think it will appeal to? 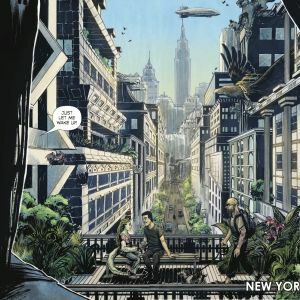 Do you think it's accessible to people who are "new to comics”? JK: You know, it’s been interesting to see this play out over the last few months. 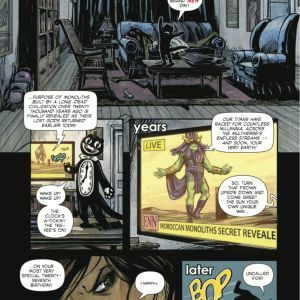 We’ve been getting a lot of great press and reviews outside the normal comics press — NPR did a huge write-up on us, the Library Journal gave us a starred review, but I’ve been seeing a lot of the last thing you mention — people saying it’s their first comic book ever and giving it a shot. Maybe it’s a combo of those reviews reaching them or just the fact that Leila and Owen’s cover turned out so great. 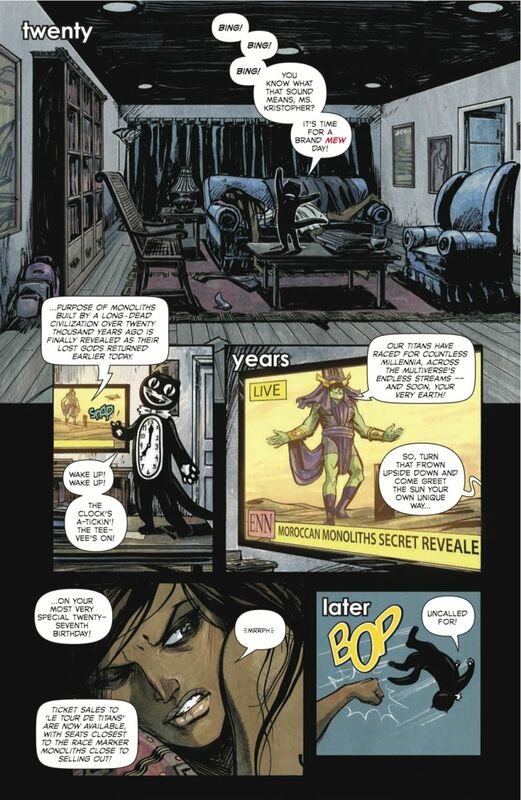 I don’t know, but we have been getting a lot of that and it’s hugely rewarding, especially on such a weird book. We’ve all — Leila, Owen, Ed, now John and I — have been doing a lot of strange, experimental stuff to tell our strange, experimental story and yet the result is its seemingly been extremely accessible. And that’s perfect. I’m all about the new, especially readers.